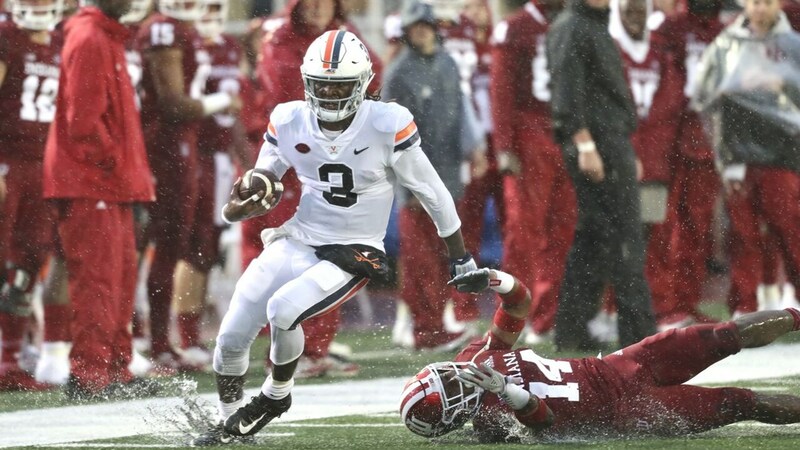 Disappointing seems to be the operative word to describe the Virginia football team’s 20-16 loss to Indiana. For me, I saw a team where both lines were beaten by the Hoosiers’ more physical fronts. That’s a starting point for this week’s grades. In the opener, Virginia’s linebackers struggled in coverage and this weekend, they struggled with run fits leading to multiple explosive plays for IU. The offensive line is trying to become a cohesive unit and that only will come with time. They are also trying to learn how to protect a truly mobile quarterback. There were positive adjustments in the second half. The offense was more productive, especially in the passing game and the defense shut out the Hoosiers despite the fact that Indiana ran more plays and recorded more total offensive yards. The linebackers made better decisions on what gaps to fill and really only had one major letdown in the second half. That’s progress. My biggest takeaway from this game is that Virginia failed to execute at critical times, especially on offense. In the first half, the defense had execution issues. In the second half, it was the offense. Virginia had a first down on the Indiana side of the field twice in the first half and scored one touchdown. In the second half, the Hoos ended three possessions in plus-territory and one at the Virginia 43, but always found a way to stub their collective toes. It’s still a process. On to the grades.